Bill submitted after Supreme Court rules Interior Minister cannot revoke residency of terrorists. A bill giving the Interior Minister the power to revoke the permanent residency rights of people who were convicted of security offenses was approved for a preliminary reading by the Ministerial Committee for Legislation Sunday. 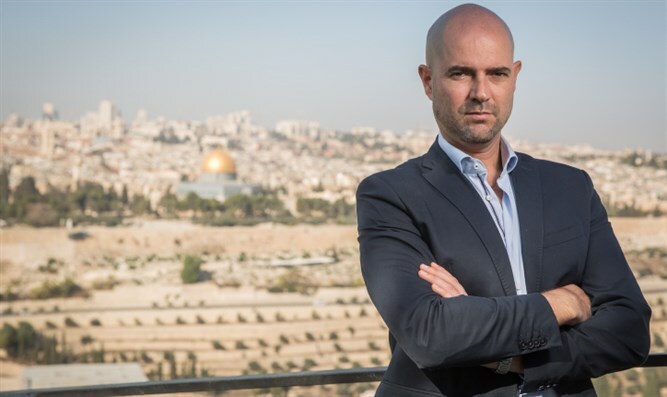 The bill was proposed by MK Amir Ohana (Likud) following the decision of the Israeli Supreme Court to strike down former Interior Minister Roni Bar-On to revoke the residency of four Arabs from eastern Jerusalem who were convicted of membership in the Hamas terrorist organization. The decision the court struck down was from 2006. MK Ohana said, according to Yediot Ahronot: "I was of the opinion the law enabled the interior minister to [revoke the residency permits of terrorists] even before, and that the Supreme Court should not have intervened in previous interior ministers' decisions, but since it has decided to do so anyway, I searched for and found a solution allowing the State of Israel to impose the sanctions it so sorely needs against Hamas' operatives." "It is inconceivable for them to continue living here and for them to enjoy the Israeli taxpayers' money," Ohana added, "when they're calling for the deaths [of the those same taxpayers]. Jerusalem may have justices but it also has legislators," he said, referencing a quote of former Prime Minister Menachem Begin when he stated that he would follow a Supreme Court decision he disagreed with.